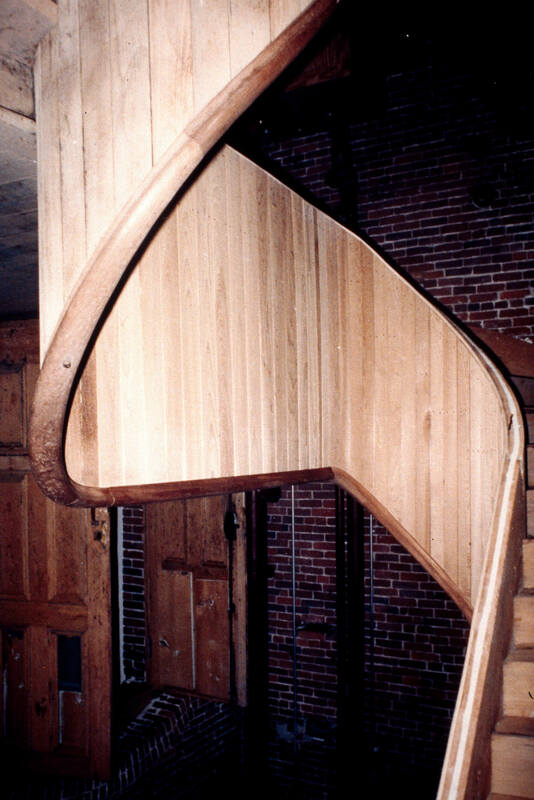 Built during the first half of the nineteenth century, the construction of the Appleton Mill was funded in part by one of Lowell’s industrial investors, Nathan Appleton. 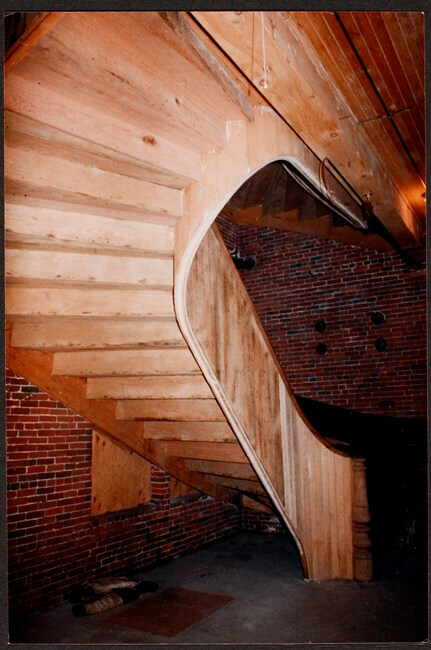 The mill complex was comprised of structures spanning nearly a century, from a handful of original buildings dating from 1828, to additional mill buildings built in 1873 and 1918. As the City of Lowell started to decline in the mid-19th century, so too did the Appleton Mills, when, in 1927, Appleton moved its production to the American South. 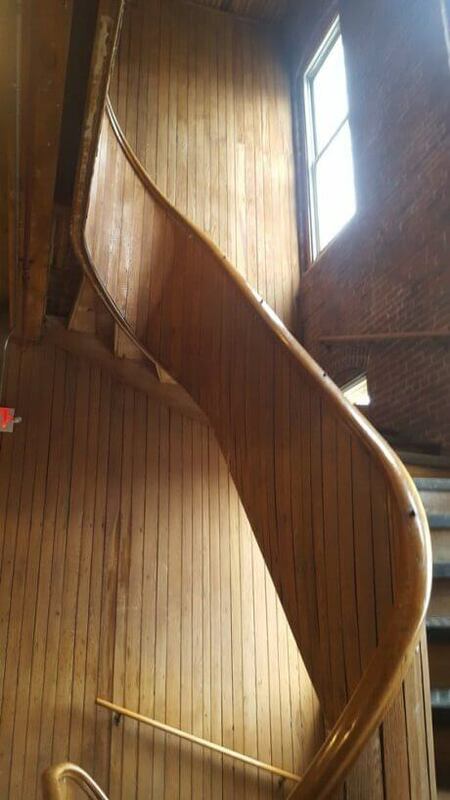 The Appleton Mills are graced with a pair of massive, free-flying, five-story wood staircases. 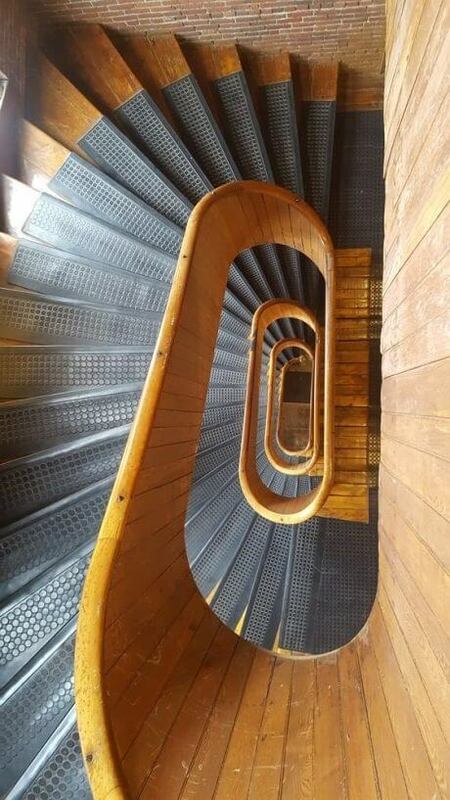 During the first phase of mill restoration, it was thought that because the stairs were more than eight inches out of level, they could be made usable again only by the use of visible steel plates and wires. 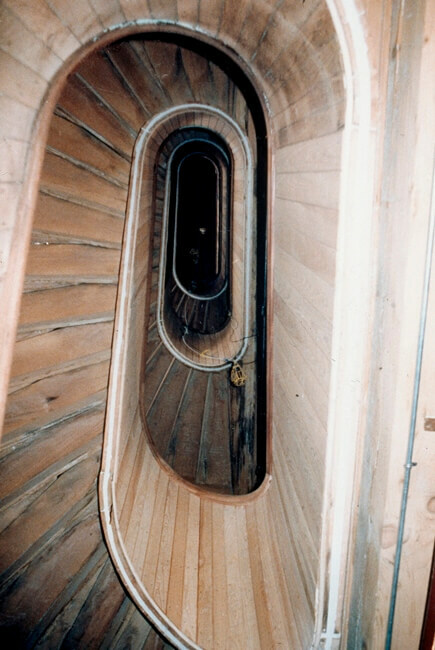 Rich Muckle created an innovative stabilization technique, which involved cutting a ¾” wide by 2” deep channel in the stair’s stringers and filling this void with a combination of structural epoxy and an aircraft cable to provide the needed structural integrity to the floating staircases. In 2011, the Appleton Mills underwent another phase of restoration work, transforming the building into live/work spaces for artists. Today, the brick-and-mortar industrial structure stands tall as part of the Lowell National Historic Park, keep alive the memory of the city that brought the industrial revolution to America.